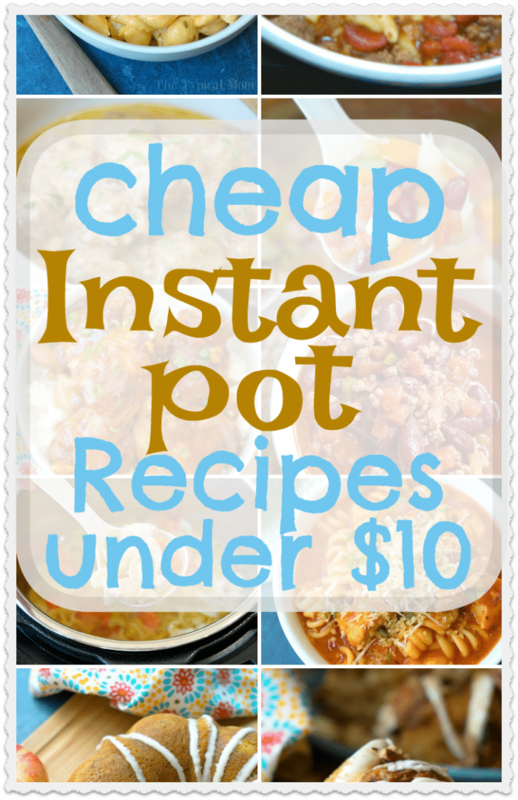 Here are a bunch of cheap Instant Pot recipes under $10 each that you will love! From dinners to side dishes and pressure cooker desserts too. You’ve got to try a new one each week to see which one you love. All of these are quick and easy one pot meal ideas. Some are desserts and many are dinners that your family will rave about. Each one is super fast to throw together and several of them have just a few ingredients. I’ve even found what I needed at the Dollar Store! Here are my cheap and easy Instant Pot recipes under $10! First you will need an Instant Pot —-> this is the one I have that has worked fabulous for feeding the 5 of us. Instant Pot spaghetti – one of the first recipes I ever made and people RAVE about it. I’ll never make it on the stovetop again after making this one pot pressure cooker spaghetti recipe. You can usually find everything you need at the Dollar Store too. Homemade Instant Pot macaroni and cheese – a no brainer and so easy to make. As easy as the “blue box” but homemade and super smooth and creamy! We even share how to make boxed Kraft mac and cheese in a pressure cooker here. Instant Pot taco casserole – this is such a great meal and an absolute favorite among my kids. Sweet Instant pot cranberry applesauce is a healthy and yummy snack. Easy Homemade Instant Pot Swedish meatballs – if you’ve never had them they’re fabulous atop some egg noodles and if you’re Grandmother made them like mine did these will bring back a few memories. You could make sweet potatoes as a light dinner. Instant Pot turkey soup is cheap when you’re using leftover turkey from the holidays as the protein! Healthy Instant Pot minestrone soup – super easy to make with fresh vegetables, inexpensive, and healthy too! 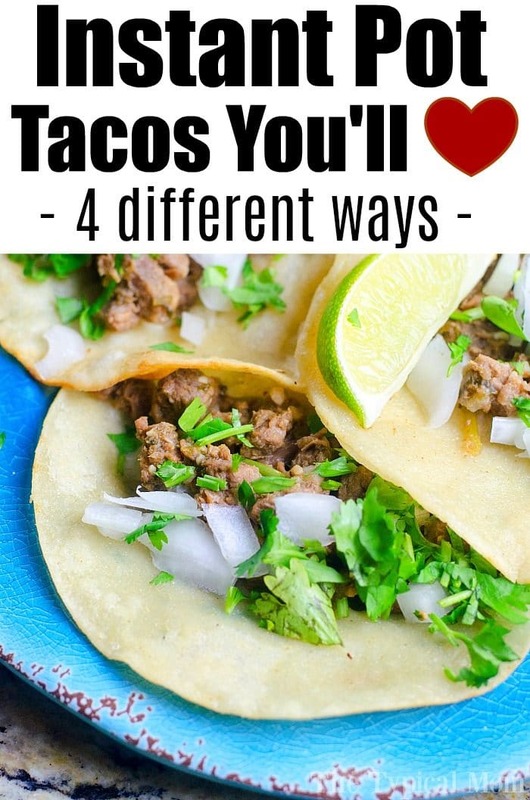 Flavorful Instant Pot taco meat using ground beef + 4 other Instant Pot tacos recipes everyone loves! Of course everyone has their preferences so I have included a lot of options. Soups (like our Instant Pot tomato basil soup) are always a great option for dinner if you want something inexpensive but fill everyone’s belly. Another go to dinner for us is always pressure cooker frozen whole chicken (especially on days where I forget to defrost it)! Shred it when it’s done, and set out small tortillas, cheese and toppings for soft tacos….our fave! Instant Pot chicken parmesan casserole – depending on how much chicken you add you can make this for under $10, use chicken thighs if you really want to cut down on the price too! Pressure cooker chicken rice dish is what you remember from your childhood. 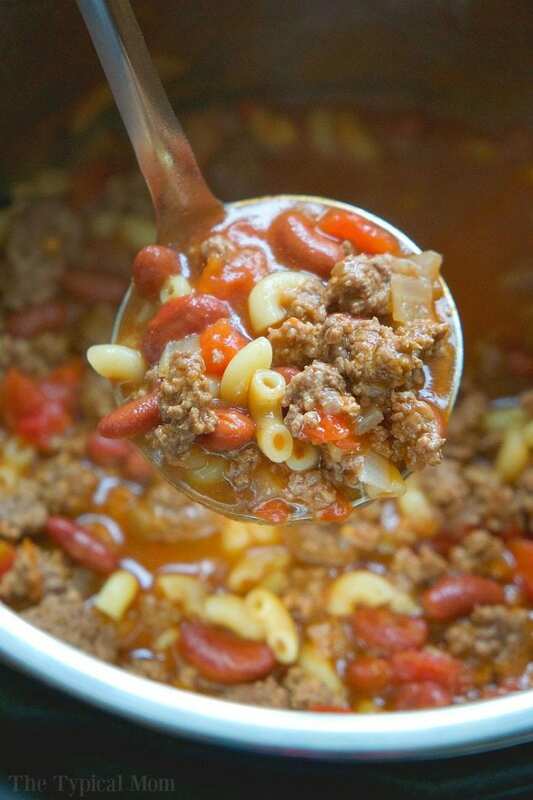 Our Instant Pot chili mac recipe – a favorite with the kids and is great the next day too! Cheesy Instant Pot cheeseburger macaroni is similar but with a cheesy twist on it and minus the beans. Instant Pot spicy teriyaki chicken thighs – you can make them without the spice too! Classic Instant Pot chili – using just 5 main ingredients that typically you can find at the Dollar Store we make this several times each month on top of baked potatoes or rice. Flavorful Instant Pot red beans and rice – you can make this as mild or as spicy as you like and do not have to precook the rice! Our loaded potato soup has a short cooking time, so cheap! 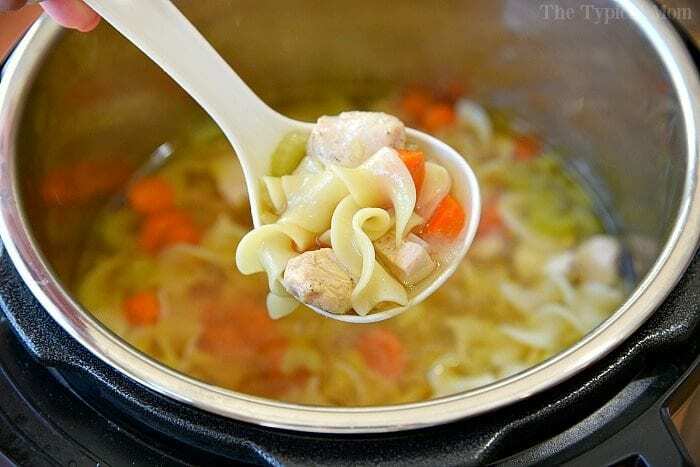 Good old Instant Pot chicken noodle soup – a favorite even when you’re not sick! Instant Pot spaghetti squash – mix with spaghetti sauce and cheese! 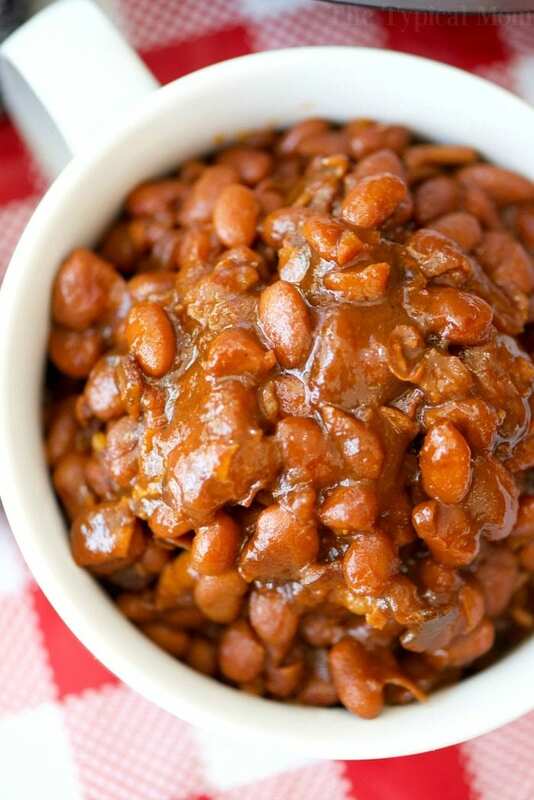 No Soak Instant Pot baked beans – that’s right NO soaking required!! Love this one with it’s deep sweet flavor (you can add a bit of spice too if you want) and is perfect for a bbq or a side dish year round. Pressure cooker jam can be made with any fruit and lasts for weeks for breakfast. Creamy Instant Pot potato salad – always a favorite and easy to make. Pressure cooker mashed potatoes – the best you’ll ever have loaded with goodness. Instant Pot cauliflower mash – oh if you haven’t tried this it is low in calories (if you skip the add ins). Your kids will never guess they’re not mashed potatoes. Breakfast or snack Instant Pot hard boiled eggs are easy and making them into deviled eggs makes for a great side dish or appetizer. 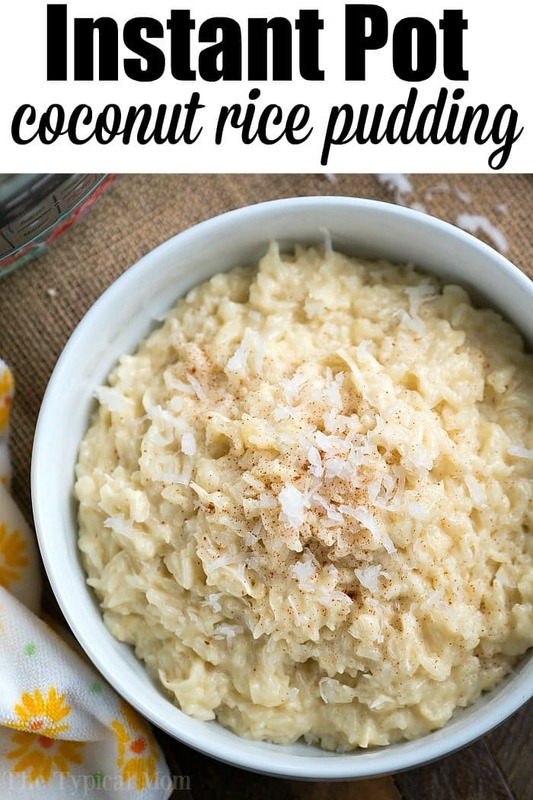 This is the best Instant Pot rice pudding – THE most amazing and popular Instant Pot dessert recipe probably on my blog, people say….they’ll never make it another way again!! Fluffy Instant Pot pineapple upside down cake is something we literally made with items from the Dollar Store! 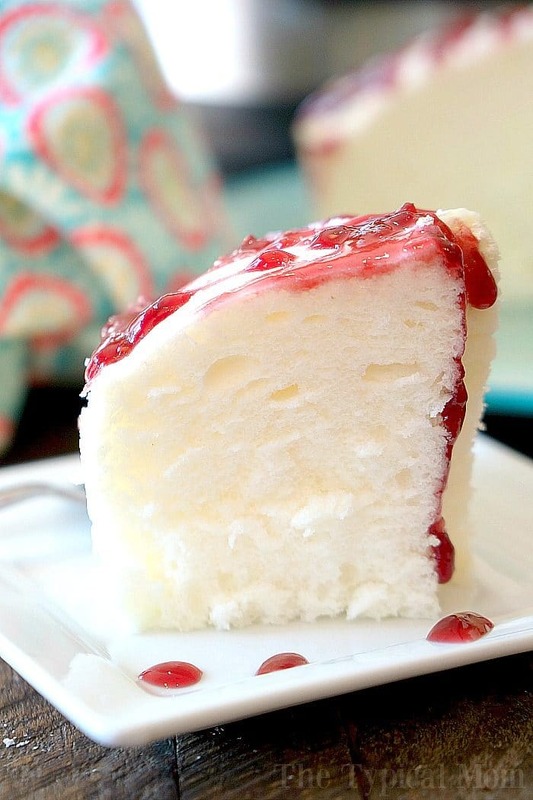 Instant Pot angel food cake – seriously to die for and a fat free cake too! Instant Pot chocolate cake – I topped it with some warmed raspberry jam and it was amazing!! Very much like a flourless chocolate cake texture, super moist and flavorful. Yummy Caramel Apple Pecan Instant Pot coffee cake – oh my goodness is this amazing and it’s perfect for breakfast or dessert. I added caramel bits and nuts but add or omit what you like, either way it turns out fabulous. Instant Pot pumpkin apple cake – leave out the walnuts and you can easily make this for under $10 and probably have most of the ingredients at home right now! Pumpkin really is delicious year round. Creamy Instant Pot double chocolate cheesecake looks amazing and is on our list to try next. I will say that I rarely if ever use the slow cooker function on my multi cooker. It kinda’ defeats the purpose for me and I don’t think it works that well either. 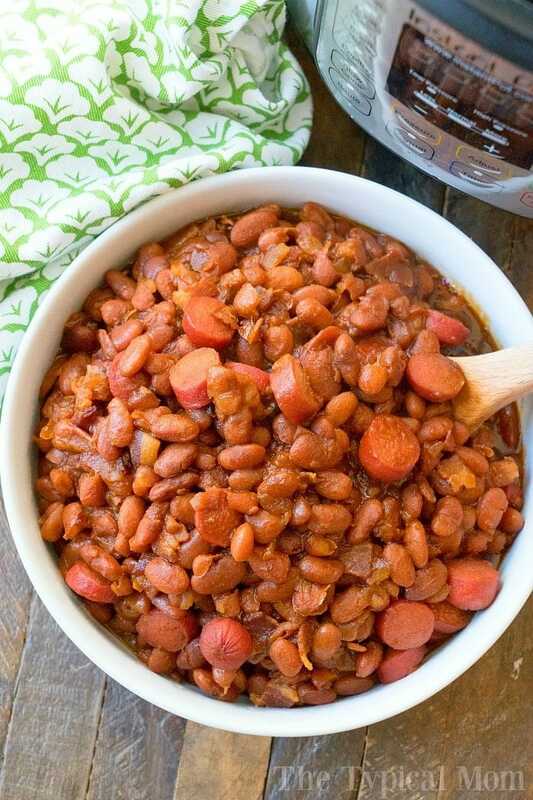 If you want some tasty and simple crockpot recipes I have those as well. 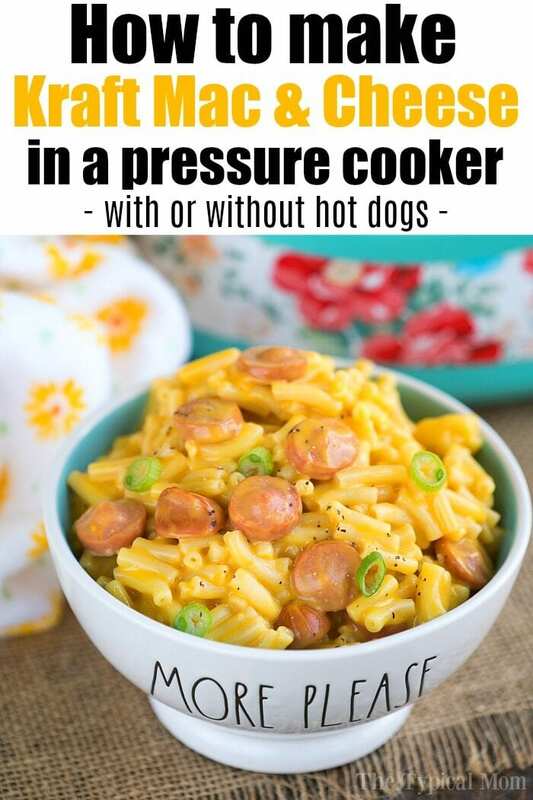 I’d use your good ol’ fashioned slow cooker for those though. 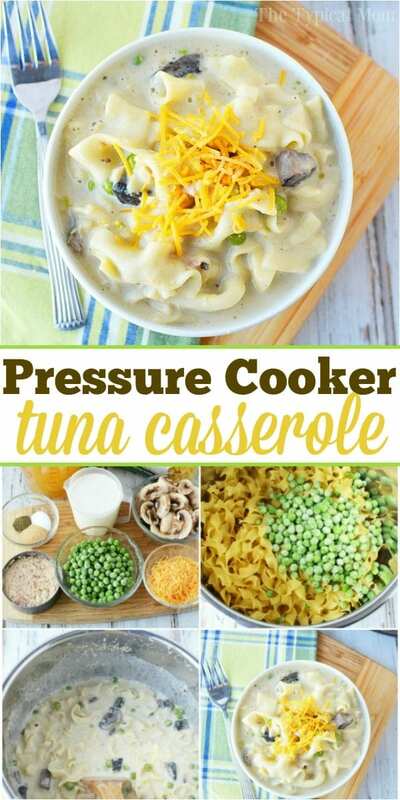 I’m all about pressure cooking and I hope this list keeps you going for the whole month, or longer! 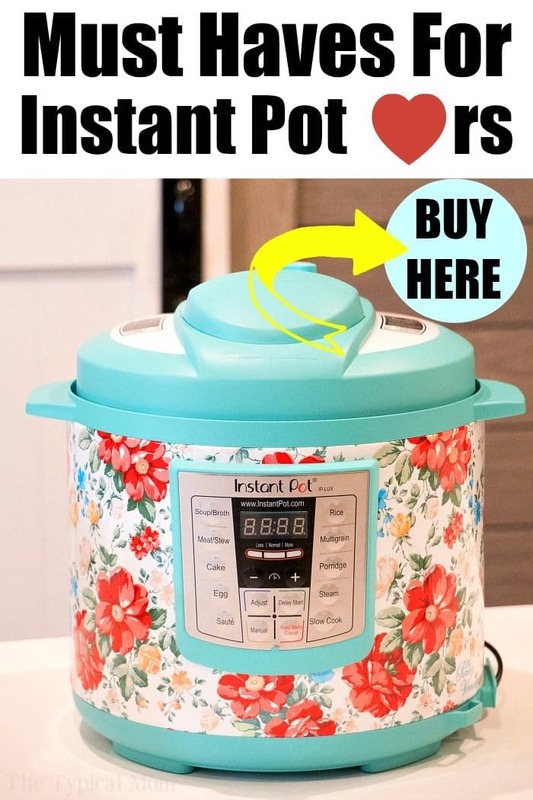 Do you have any other cheap Instant Pot recipes that you make often?? I’d love to hear about them so we could try it too! Subscribe to my newsletter below to receive all of my new pressure cooker recipes and have them delivered straight to your inbox each week! Looking forward to easy recipes to try.